Inspired by console emulators (back in 2001) such as: UltraHLE (Nintendo64), Snes9x (SNES) and Bleem! (PSX) I got interested in the technical design of an emulator. 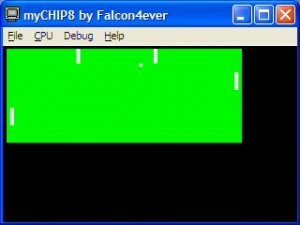 Since I wanted to challenge and improve my own coding skills to get a better understanding of the CPU, I started my own emulation project in 2003. 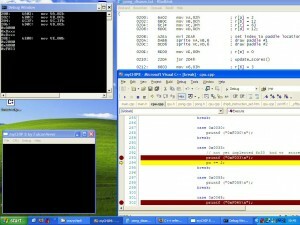 At that time I was searching for a simple system to emulate (which wouldn’t take me years). 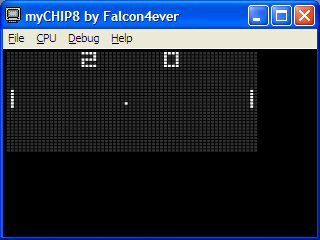 A friend of mine recommended to try writing a Chip8 interpreter. 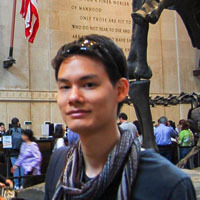 More information of the design of the Chip8 (virtual) cpu can be found on Wikipedia. The screenshots below show my own Chip8 implementation running on Windows. Note: You can steer the paddles by useing Q-2 for player1 and Z-X for player to move the paddle up and down.